Geography is a fascinating discipline. The study of geography allows us to understand our place in the world and how patterns across space shape it. 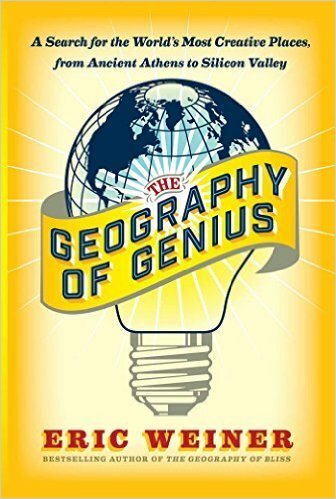 Listed here are seven intriguing books about geography that are a great addition to any geographer’s collection. “The Magnificent Bears of the Glorious Nation of Finland,” by Finnish designer Annukka Mäkijärvi, is an unusual map. It features no topographical information. It denotes no geopolitical borders. It doesn’t even have a compass rose. What it does convey, with colorful illustrations of bears that Mäkijärvi smooshed together into the shape of Finland, is the population density of ursine species throughout the Scandinavian country. “There is about 1,600 graceful bears ready to kill you and your loved ones in the whole country,” the text notes. Like we said: Unusual. 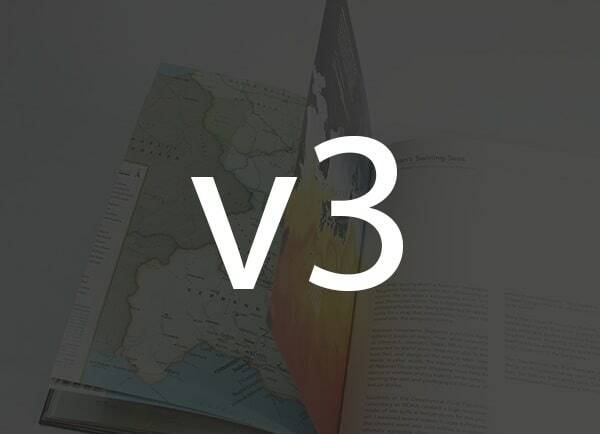 If there’s one thing uniting the 32 maps in the third volume of The Atlas of Design, it’s their unusualness. Some—a chart of Amelia Earhart’s last flight, a verdant drawing called “Megan’s Woods”—barely register as maps. That’s largely deliberate: The Atlas of Design celebrates a more inclusive idea of cartography. All leaders of nations are constrained by geography. Their choices are limited by mountains, rivers, seas, and concrete. To understand world events, news organizations and other authorities often focus on people, ideas, and political movements, but without geography, we never have the full picture. 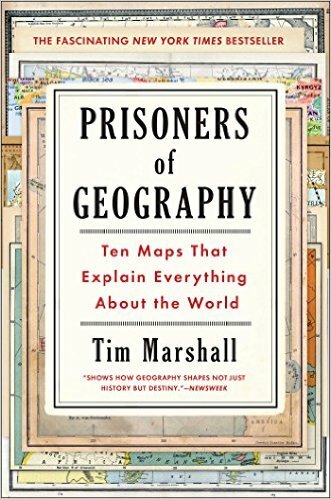 Now, in the relevant and timely Prisoners of Geography, seasoned journalist Tim Marshall examines Russia, China, the USA, Latin America, the Middle East, Africa, Europe, Japan and Korea, and Greenland and the Arctic—their weather, seas, mountains, rivers, deserts, and borders—to provide a context often missing from our political reportage: how the physical characteristics of these countries affect their strengths and vulnerabilities and the decisions made by their leaders. The world’s finest maps explored and explained. From Ptolemy’s world map to the Hereford’s Mappa Mundi, through Mercator’s map of the world to the latest maps of the Moon and Google Earth, Great Maps provides a fascinating overview of cartography through the ages. 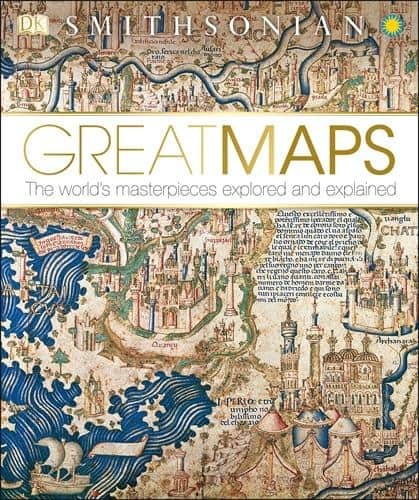 Revealing the stories behind 55 historical maps by analyzing graphic close-ups, Great Maps also profiles key cartographers and explorers to look why each map was commissioned, who it was for and how they influenced navigation, propaganda, power, art, and politics. 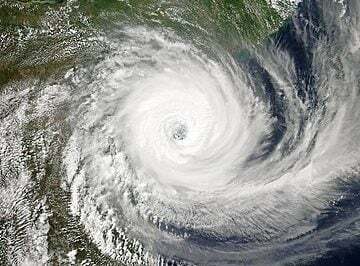 It is perhaps the eighth wonder of our world that despite modern mapping and satellite photography our planet continues to surprise us. Hidden lairs beneath layers of rock, forgotten cities rising out of deserted lands and even mankind’s own feats of engineering eccentricity lie in the most unusual of destinations. Travis Elborough goes in search of the obscure and bizarre, the beautiful and estranged. Taking in the defiant relics of ancient cities such as Ani, a once thriving metropolis lost to conquered lands, and the church tower of San Juan Parangaricuto, that miraculously stands as the sole survivor of a town sunk by lava. 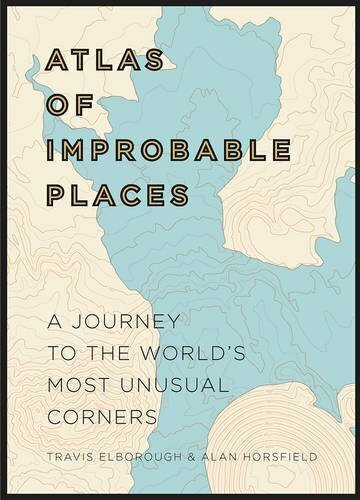 With beautiful maps and stunning photography illustrating each destination, Atlas of Improbable Places is a fascinating voyage to the world’s most incredible destinations. As the Island of Dolls and the hauntingly titled Door to Hell – an inextinguishable fire pit – attest, mystery is never far away. The truths and myths behind their creation are as varied as the destinations themselves. Standing as symbols of worship, testaments to kingships or even the strange and wonderful traditions of old and new, these curious places are not just extraordinary sights but reflections on man’s own relationship with the world around us. Originally published to wide acclaim, this lively, cleverly illustrated essay on the use and abuse of maps teaches us how to evaluate maps critically and promotes a healthy skepticism about these easy-to-manipulate models of reality. Monmonier shows that, despite their immense value, maps lie. In fact, they must. 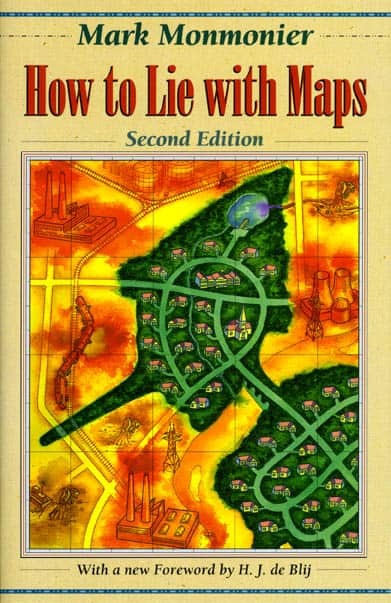 The second edition of How to Lie with Maps is updated with the addition of two new chapters, 10 color plates, and a new foreword by renowned geographer H. J. de Blij. One new chapter examines the role of national interest and cultural values in national mapping organizations, including the United States Geological Survey, while the other explores the new breed of multimedia, computer-based maps. To show how maps distort, Monmonier introduces basic principles of mapmaking, gives entertaining examples of the misuse of maps in situations from zoning disputes to census reports, and covers all the typical kinds of distortions from deliberate oversimplifications to the misleading use of color. Mapmaking fulfills one of our most ancient and deepseated desires: understanding the world around us and our place in it. But maps need not just show continents and oceans: there are maps to heaven and hell; to happiness and despair; maps of moods, matrimony, and mythological places. There are maps to popular culture, from Gulliver’s Island to Gilligan’s Island. There are speculative maps of the world before it was known, and maps to secret places known only to the mapmaker. Artists’ maps show another kind of uncharted realm: the imagination. What all these maps have in common is their creators’ willingness to venture beyond the boundaries of geography or convention. 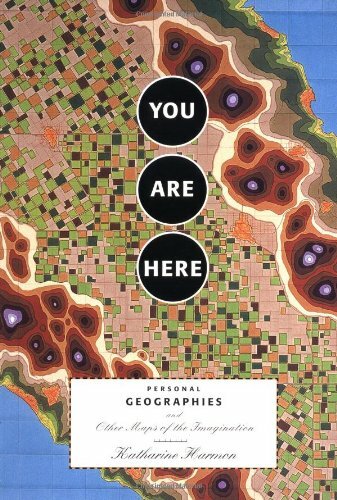 You Are Here is a wide-ranging collection of such superbly inventive maps. These are charts of places you’re not expected to find, but a voyage you take in your mind: an exploration of the ideal country estate from a dog’s perspective; a guide to buried treasure on Skeleton Island; a trip down the road to success; or the world as imagined by an inmate of a mental institution. With over 100 maps from artists, cartographers, and explorers, You are Here gives the reader a breath-taking view of worlds, both real and imaginary.